With faster construction times and a softer environmental impact, wood could be the building material of the past...and of the future. With one foot (or tire, as it were) in the construction business with our industry-leading Galaxy brand and the other firmly planted in forestry with our reputable Primex tires, ATG is excited to see the next step of wood construction. Driven by advances in strong, flexible, more fireproof engineered wood products and encouraged by new thinking about building codes, wood has been gaining new life as a building material over the last five years. 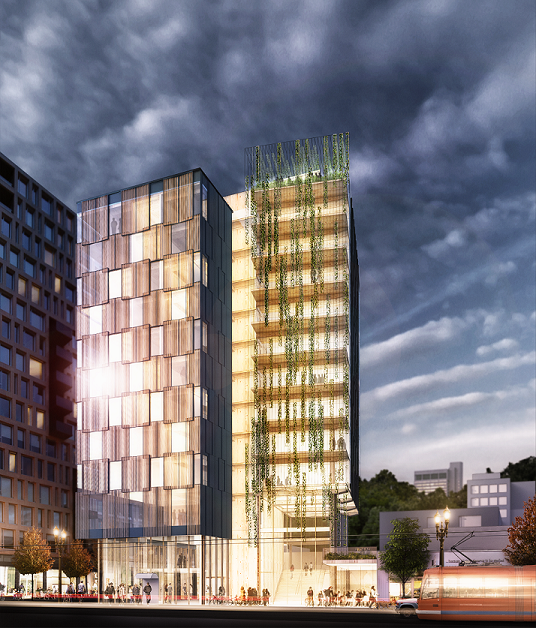 Today, 17 wood buildings are being built worldwide between 7 and 15 stories tall—and a record-setting 35-story wood building is in the planning stages in Paris. Wood construction is gaining popularity as our culture has become more sensitive to the environmental impact of our actions. As cities continue to grow, so does the use of steel and concrete, both of which have large carbon footprints. Though dense cities are relatively resource-efficient, tall buildings are uniquely costly when you consider the “embodied energy” of the materials that go into producing, transporting, and installing them. “Concrete is particularly bad, steel’s not much better,” says Daniel Safarik, editor at the Council on Tall Buildings and Urban Habitat. Wood is simply more sustainable and has a lower carbon footprint than steel or concrete. Additionally, wood itself stores extra carbon (particularly in the U.S., where many trees are farmed), and wood that was affected by pests that might not have made the cut before can be used in today's newer and more advanced wood building products. Tires like the Primex LogStomper Super High Floatation further help increase sustainability. 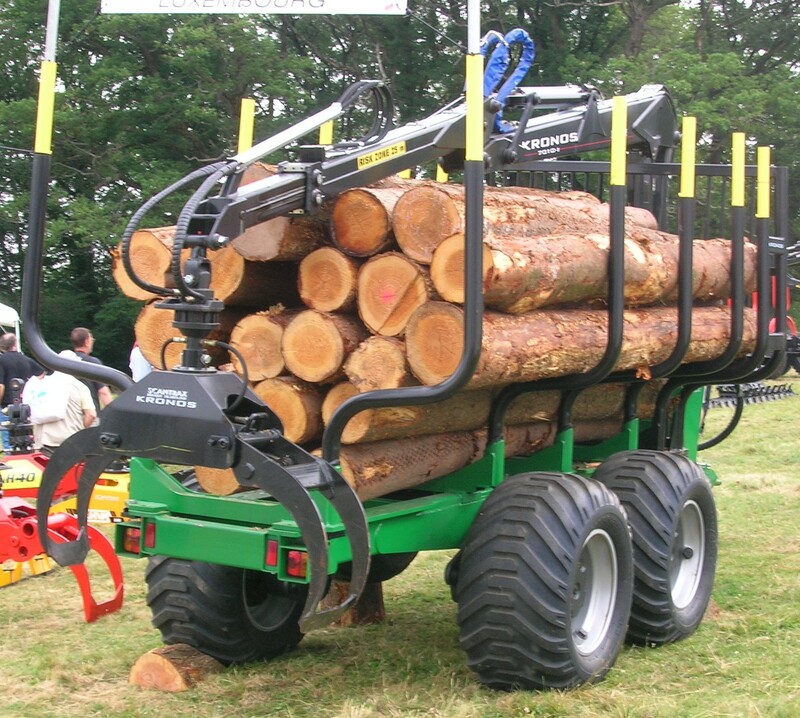 The LogStomper Super Floatation has the ability to get into previously inaccessible areas and work in difficult terrain while minimizing the damage done to sensitive soil on the forest’s floor, helping to keep forests healthy and productive. Another big benefit of building with wood is that many major building components may be prefabricated, reducing construction time. The reduction in construction time benefits the builder by lowering labor costs, and the faster old projects are finished, the faster new projects can be started. Minimizing construction time also benefits the community, decreasing the nuisance of traffic disruption and construction noise. Tires like the Galaxy Beefy Baby III are perfect for helping lumber yards and construction sites keep up with faster-paced projects and increased demand, while further increasing productivity and profit thanks to their incredible durability and low cost per hour. The increase in big wood buildings will not only be a boon to construction companies in the big city, but will also be a huge benefit to many small towns. The Department of Agriculture estimates that if "next-generation wood products" can penetrate 15% of the non-residential North American market, it could create up to 85,000 jobs in struggling rural communities. In order to keep up with the demand, many of these communities will add not only forestry jobs, but also manufacturing jobs as the wood will need to be converted into today’s advanced building products. While wood building most likely isn’t replacing steel and concrete anytime soon, it’s exciting to see new life breathed into a classic building material, and even more exciting to see jobs created. No matter if you are working in the forest, in the factory, or on the building site, Alliance Tire Group has a tire for you.